IIT JEE (Advance & Main) is one of the most common exams given by all non-medical students in the tri-city area for admissions into the best Universities all across the country. Once a candidate clears both these exams then admission into the best of Engineering colleges is guaranteed. However, to achieve this one needs to be prepared for the exam and to help you there are certain institutes that offer extensive training and preparations. 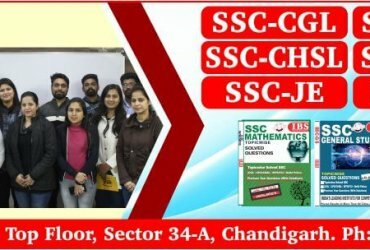 Some of the best IIT JEE coaching institutes in Chandigarh offer aspirants the right amount of training and study which can help them clear the exam successfully. An important thing to consider here is that even the list of Top IIT JEE (Advance & Main) Coaching institutes in Chandigarh or elsewhere can help you and guide you but it is you who has to put in the effort and hard work which will then bring you success. Here is the list of top IIT-JEE coaching institutes in Chandigarh. Non-Medical classes for 11th class students. Non-Medical classes for 12th class students. This institute is one of the best IIT JEE coaching institutes in Chandigarh. It was known for its medical results, but now the institute has expanded its horizon to non-medical preparations as well. This is definitely a name which should be considered if you’re looking for top 10 IIT JEE Coaching institute in Chandigarh. 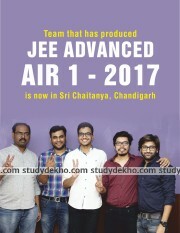 One year JEE (Mains +Advanced) for class 12th students. Two year JEE (Mains +Advanced) for class 11th onwards. Dropper batch JEE (Mains only) for class 12th cleared candidates. Supreme Course – this is a Four-year classroom plan for JEE Advanced and begins preparation when the candidates are in class 9th itself. 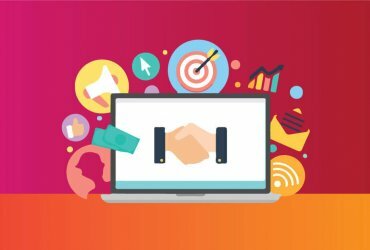 This is a proper growth-oriented program in which step by step lessons are taught to the candidates in a very simplified manner. Three-year classroom for JEE advanced – this begins from the class 10th and ensures a proper training of the candidates. Special One year classroom program for JEE advanced for class 12 – this is merely a crash course type revision of all the topics one at a time. Two-year correspondence regular course for JEE Advanced for class 11. Most candidates opt for this program and get enrolled sooner. One year correspondence regular course for JEE advanced for class 12. Nurture course for 10 to 11th (JEE Main + Advanced) – This is a one-year base course and makes the base of the candidates. Enthusiast course for 11 to 12 moving students (JEE Main + Advanced) – This is generally advised to be done after completing the Nurture course. Leader course for 12th appearing / passed students (JEE Main + Advanced) – This course is a one year course and is more of a crash course covering all the topics of the exam. National engineering academy – for 11th and 12th – (JEE Main + Advanced) – This is atwo-yearr course and mostly all student opt for this course. JEE Advanced Academy – 2 years course (JEE Main + Advanced) – This is a course for brighter candidates who are focused towards the Advanced level exam more. Crash course for 12th pass. This is a one year course and is more of a revision course of 11th and 12th JEE Advanced. Dropper batch 12th pass – JEE Mains – This is a crash course for the Mains examination only for the 12th passed candidates. 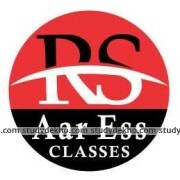 Arr Ess Classes are located in Sector 34 A Chandigarh. They are one of the one prominent classes when it comes to preparing oneself for entrance exams like NEET and IIT. With a faculty strength that can help you sail through the entrances quite easily, Arr Ess Classes are a name to reckon with. They have a variety of courses with them such as the regular 2 year course, a one year course and also crash courses to help students get enrolled right after school or maybe a few months prior to the same. Check out the institute to know more about their course curriculum. Foundation packages ranging from class 8th till class 12th.